We have partnered with Project Rhino KZN, a provincial initiative of likeminded associations united to fight the war on rhino poaching. With over 300 years of collective knowledge and experience, they are fully committed and prepared to champion this worthy cause. Our rebranding is centred upon providing them with as much support as we can. 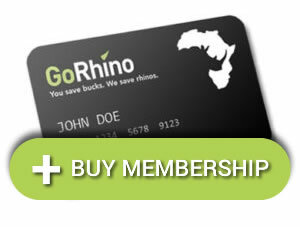 From this year forward the GoRhino Insurance Division will give 2% of its ongoing revenue to Project Rhino KZN and at the end of 2014 the GoRhino Loyalty Division will donate the full 12th month membership fee of its existing members. We will also assist the project through a direct marketing drive. Over 80% of the world’s rhino population resides in South Africa and this is one of the reasons why South Africa is bearing the brunt of what is described as one of the worst global wildlife conservation crises of the past 100 years. Over 1,600 rhinos have been killed within the country’s borders in the past four years and experts are warning that should rhino poaching continue to escalate, South Africa’s rhino populations may be in a negative birth rate scenario by 2020, pushing both the White and Black Rhino closer to extinction. Approximately 21% of South Africa’s White rhinos and 24% of the country’s critically endangered Black rhino population are to be found in KwaZulu-Natal and each time you use your GoRhino Loyalty Card you will be helping Project Rhino KZN. With GoRhino you can enjoy all the benefits and bargains of your loyalty card with an added privilege – you not only save bucks but help save rhinos too! Only through collective action will we manage to bring this majestic species back from the brink of extinction.